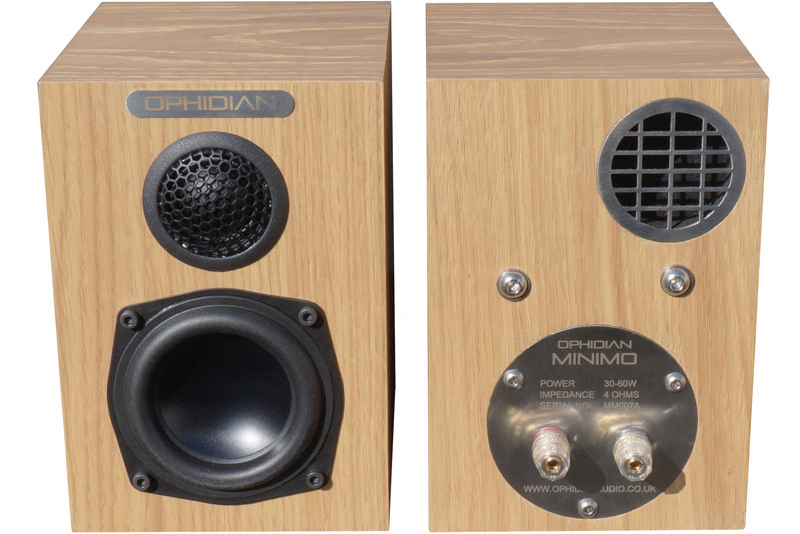 To say that Ophidian’s MINIMO speakers are compact is the understatement of the year. 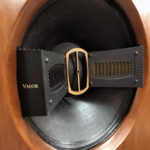 The speakers measure roughly 5” wide, 7” high and 6” deep. The footprint of each speaker is smaller than the base plate of Pangea’s DS-400 stands (6” wide x 8.5” deep) and, while the image of them resting atop is indeed humorous, do not be fooled. As Ophidian suggests, a home can be found for them on the desktop and this is where I had them, resting upon a pair of Iso-AcousticISO-L8R130 isolation stands designed for small speakers and studio monitors. They were paired with a number of my integrated amplifiers (Bel Canto Design s300 i/u, PS Audio Sprout 100) and a few receivers (McIntosh Mac1700, Tandberg TR200 and Tandberg TR3030). I did try them out for a bit in my main system powered by the Rogers High Fidelity 65V-1 integrated tube/valve amplifier, but that’s not what the MINIMOs were designed for and, even though it was just a lark, it was unfair. Fun dispensed, I connected them to my secondary system in the living room, which is comprised of a Parasound Halo 2.1 integrated amplifier and Parasound’s LTd900 linear tracking turntable. Why that turntable? Well, how often do you get to see one in person, let alone have it be mentioned in a review? Ophidian attributes the MINIMO’s ability to project a sizable sound stage, which belies its size, to its ‘combination of mid-bass driver with a powerful throw motor system and its unique AEROFLEX port system. I first encountered Gareth and his Ophidian speakers earlier this year at the Bristol Hi-Fi Show in England and was taken not only by a brand that was new to me, but by someone as young as Gareth entering the industry. He was nice enough to let me play non-audiophile music so I could put his micro-monitors to the test, as speakers this small rarely if ever can handle the deep heavy bass of honest straight-ahead FUNK. The MINIMOs did not crumble; they did not shy away from the task. Were they up to the task? No, not ideally, but to get to the level of bass to which these tracks plumb is a tall order. With the speakers here at my place in the States, I employed the PS Audio Sprout 100’s bass-boost, an 8 dB boost, and that helped matters considerably. As British as the MINIMOs may be, their 90mm drivers (which can be found in OPHIDIAN’s entire M series line of speakers) are sourced from Parts Express just down the road/highway from me in Dayton, Ohio. 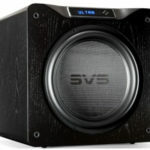 The mid-bass driver measures a shade over 3.5” while the tweeter, sourced from Norway’s SEAS, is a shade over 1”. The transmission line design came as a bit of a shock, as I have not been accustomed to its implementation in such a relatively small micro-monitor cabinet. There are bound to be some drawbacks: bass extension and lower sensitivity (85 dB), but what with amplification of today the latter is far less of a concern and, as for the bass, well if you’re looking for that punchy bass, I would have to ask Why are you looking at a micro monitor? 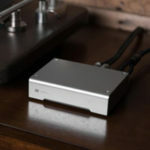 From their size alone, one would assume that the MINIMOs were designed for the desktop and, while a logical assumption, that’s not entirely the case. I set the speakers in four different rooms of varying dimensions (24’x 20’, 18×20’, 15’x10’, and 13’x10’) and with the speakers far enough from back walls – at least 18” – I was pleasantly surprised byhow they were able to make use of the mid-bass driver’s celebrated long throw. My duplex apartment is comprised of a sizable living room and three bedrooms, so the speakers made the rounds through rooms with varying amounts of furnishing, and roundly delivered on their promise. With their transmission line tuned to 60 Hz, there’s no way else of my saying it: Meghan Trainor isn’t going to be happy, as it is not all about the bass. 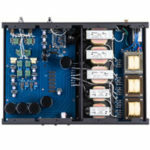 That being said and just for kicks, I connected a Parts Express/Dayton Audio SUB-1200 12″ 120-watt powered subwoofer, as there would be some level of synergy with the MNIMOs. The extra bass was indeed a plus, but its addition came at a physical cost, as the footprint of the 2.1 speakers just grew exponentially. No doubt there are smaller subwoofers to do the trick, perhaps even a passive one. Looking through the Parts Express project gallery online, I just might be inclined to design and build one myself. How do the MINIMOs sound? I close my eyes and I want more from them. I open my eyes and realize I’m being greedy. Just how much more can they give? The sound is neutral, not accurate. I make the distinction because accuracy can be fatiguing, and the MINIMOs are anything but. From the nominally powered Tandberg TR200 at 20 watts per channel to the Parasound Halo 2.1’s 160 watts per channel, and the others I listed earlier, while on the face of it they might not be ideal physical matches, save for the TR200, the MINIMOs could and would be ideal for a secondary system, in one’s office, one’s bedroom and one’s guest room. At least that’s what I found in my home. Without the subwoofer attached the MINIMOs come back down to earth, the limited bass extension is apparent, but then for a pair of speakers this size, you have to expect at least one compromise. It’s not a secret that I travel a lot and live across continents, so I keep toying with the ultimate audiophile system that I can fit in my Samsonite rolling carry-on suitcase. Given TSA penchant for drama these days, I’m not sure how they would react to its contents: PS Audio Sprout 100, iBasso DX80 DAP, Iso-Acoustic ISO-L8R130 stands, and Ophidian MINIMO speakers. They all fit nicely with room to spare for speaker cables, interconnects and yes, the odd bit of clothing.